Top: Romwe (sold out) similar here, here, and here | Denim: Mott and Bow | Shoes: Old similar here and here | Sunglasses: Quay Australia | Lipstick: MAC in "Diva"
Hope everyone had a great weekend. I couldn't wait to share this top with you all! 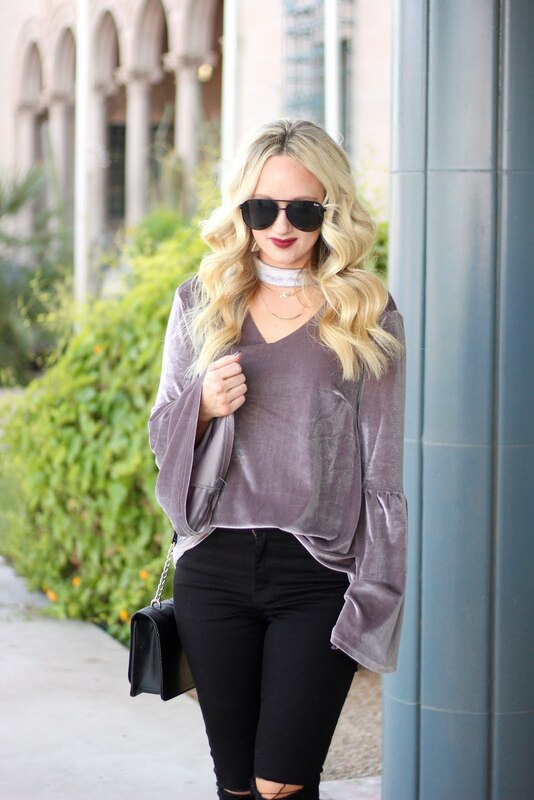 It did sell out before I had a chance to post it, but I did link some other tops that are velvet with choker neck lines that are all under $17! 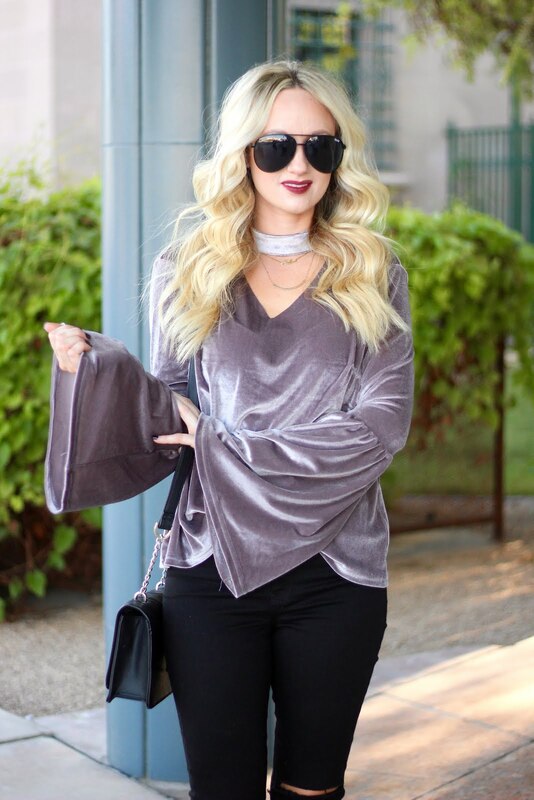 I am loving the choker neck line trend on blouses, because it adds a classy feminine touch to a simple blouse. With the holidays approaching these tops are perfect to pair with skirt and tights and some boots or even a pair of pumps. And with a sleek pack pony tail or bun and some statement earrings, it will give it an extra chic look.